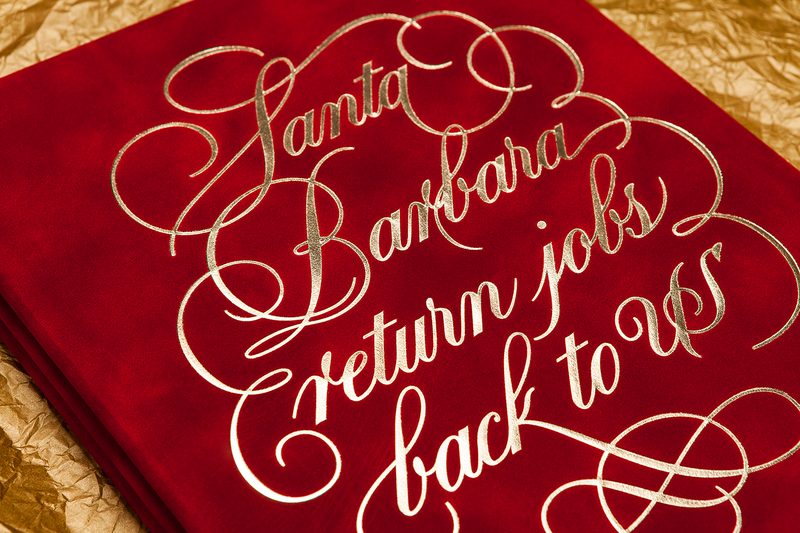 A rococo golden lettering printed in hotfoil on a red velvet cover? Yes. 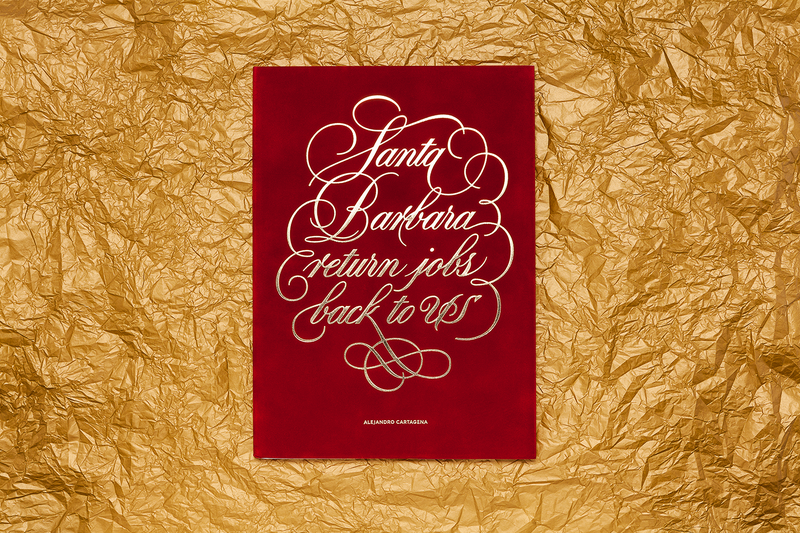 This few shimmering words clash with Alejandro Cartagena photos inside, showing Santa Barbara unwelcoming streets with a lonely tone.